It’s almost here, the weekend, time to relax and enjoy a good book. I never get as much reading time during the week as I would like. During the weekend, though, I can usually carve out a few hours to sit in the next (or hammock, as it were) and dig into a great read. Unfortunately, I spent too much money at the grocery store the other day. But, fortunately, I don’t have to spend much to find a good book at the old neighborhood bookstore. In fact, there are dozens of interesting hardcovers and paperbacks on sale for well below cover price. Every day. I was just browsing the bargain book tables and spotted two titles from Minnesota author Alison McGhee. I read Shadow Baby last year and highly recommend it. I have not checked out Snap as of yet, but I have heard good things. McGhee’s prose is tight and her characters are worth caring about. Good news: You can buy both for less than the price of a single hardcover. While supplies last. Spring has sprung and summer’s not too far off. Don’t know about you, but that makes me think of music. Of walking or riding with the breeze blowing in my face and the sun beating down while listening to a tune that makes me want to gyrate like a goofy kid. At River City Books, they have cool tunes. Not only that, they have cool tunes on sale! 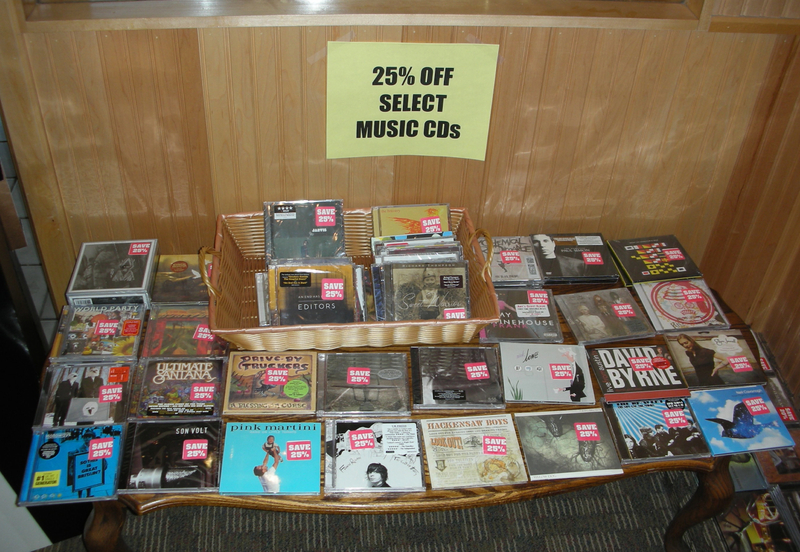 That’s right, I was in there the other day and I snapped this pic of a table full of CDs on sale for 25 percent off. Pink Martini. David Byrne. Paul Simon. There’s a nice mix of different musicians and groups at low-low prices. Worth checking out, anyway, next time your spring stroll brings you downtown. Before I skedaddle into the holiday weekend — I’m reading a classic for the first time and only a few pages in I am already loving it — I want to make sure you know that if you’re in town this weekend River City Books is available to serve. They have usual business hours on Saturday (10 a.m. to 5 p.m.) and Sunday (11 a.m. to 5 p.m.) and they are even open on the Memorial Day holiday from 11 a.m. to 6 p.m. Even you need a read or a college sweatshirt for a grad, stop by! May you and yours have a safe and pleasant holiday weekend. My sources within the Harry Potter compound — OK, I read the newspaper — have alerted me that a special 10th anniversary edition of Harry Potter and the Sorcerer’s Stone will be published in late September. The $30 book will feature exclusive additional material from J.K. Rowling as well as new cover and inside art by Mary GrandPre, illustrator for all U.S. editions of the Potter books. Pre-orders available at River City Books. Of course. I had to say it even if you already knew it. 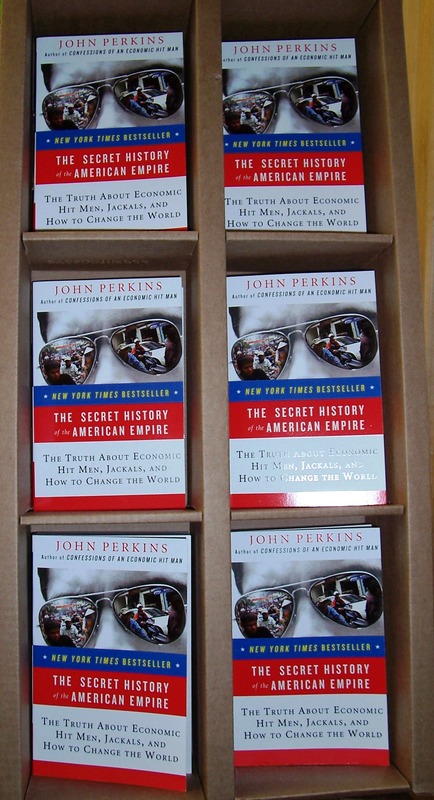 I am going to let the cat out of the bag: John Perkins has a knack for writing books that people want to read. First he wrote Confessions of an Economic Hit Man, which spent more than a year on bestseller lists such as BookSense and the New York Times. Then came The Secret History of the American Empire: The Truth About Economic Hit Men, Jackals, and How to Change the World, a book I noticed the other day is now out in paperback. How do I know things that are supposed to be secrets? I shop at the right places, I guess. If you’re a student — or the parent of one — you know this is the home stretch. The end of school is near! That— I must add — means it’s time to review the summer reading list. Fortunately for young readers this is a terrific month to do so. 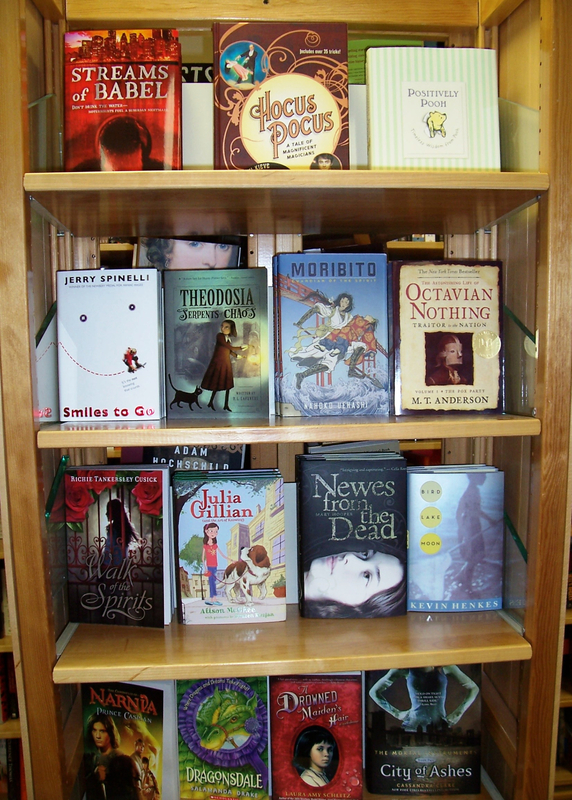 There are so many great books for youngsters this spring. I was just browsing in the young adult section and, wow, several titles jumped out at me. I snapped a picture (included here) of one of the YA displays, which includes but a few of the scintillating options available. 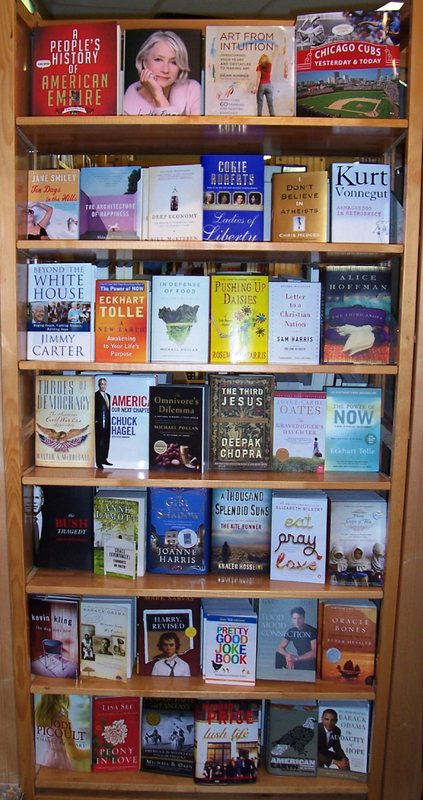 For a full selection of options, stop on by the old neighborhood bookstore. Summer’s the time when students can read simply for the pleasure of it. And there is plenty of options for doing just that. I am not sure if there’s a better time to be a book lover than right now. Mid-May, we’ve already seen the bulk of spring releases come out and spring — March-April-May — is the season when publishers roll out some of their best stuff. There are so many good novels. There is memoir. History, wow. And a great number of topical nonfiction books that teach readers about why we act and how we think. I snapped this shot of one River City Books display and there are something like eight books here — beyond those I’ve already read — that I need to add to my list. Next time you’re strolling along Division Street poke your head inside. I am not a betting bird, but I would be willing to wager you’ll find something of interest.